"Today, we are witnessing a scientific and technological revolution in which information science and quantum mechanics have been united into the common field of Quantum Information Science and Technology. 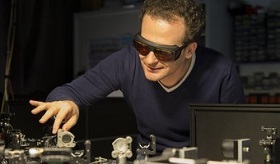 We work on building next generation quantum devices and materials and explore their applications ranging from inherently secure communication and processing of information, to ultrasensitive sensors and transducers for precision metrology." Quantum superposition and entanglement are two concepts that lie at the heart of the power of quantum science and technology. We explore the generation, use and exploitation of entanglement in solid-state nanosystems for quantum information processing, metrology and sensing and computation. 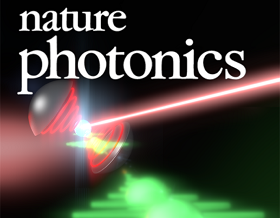 Non-classical states of light such as single photons, entangled photon pairs and highly entangled photonic cluster states are of significant interest for distributed quantum information technologies such as quantum communication. 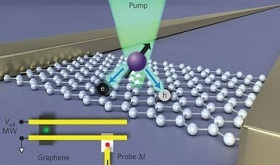 Research focuses on sources and detectors of photonic quantum states. 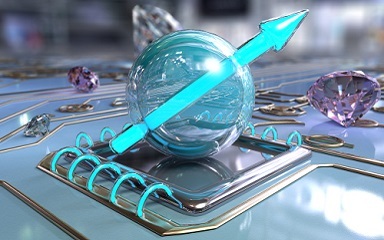 One of the major challenges to developing viable quantum technologies in the real world is the development of reliable hardware capable of hosting fragile quantum states. We explore different types of realizations of solid-state based quantum hardware for emergent quantum technologies like Quantum Communication, Sensing and Metrology, Computation and Simulation. Electron spins in NV centers, localized at atomic scales, can be manipulated at room temperature by applying a magnetic field, electric field, microwave radiation or light, or a combination, resulting in sharp resonances in the intensity and wavelength of the photoluminescence. We are exploring the use of NV centers for novel forms of quantum metrology and sensing and explore novel electrical readout methods capable of probing the state of individual NV centers with THz bandwidths. 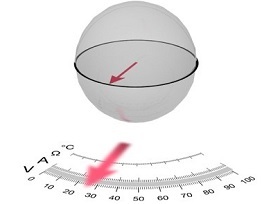 The precise measurement of physical quantities transcends all of the natural sciences. 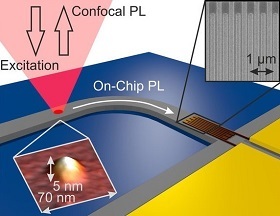 On the quest for ever higher precision, sensors are now hitting the quantum limit. At this point, quantum science is about to become an integral component of sensor development, providing fundamental new under- standings of the presently attainable limits of noise. Quantum technologies provide entirely new ways to overcome classical limits and, using qubits for sensing, push forward to develop new hardware for sensing and metrology. Practical quantum computers require a large network of highly coherent qubits, interconnected in a fault-tolerant design. 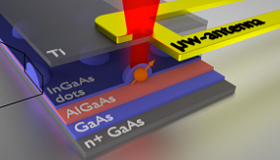 Donor spins in silicon provide state-of-the-art coherence and quantum gate fidelities, in a platform adapted from industrial semiconductor processing. We investigate the key properties of such semiconductor-based qubits for the implementation of quantum technologies focusing on readout, manipulation and coherence. Quantum dots semiconductor nanostructures with intriguing properties similar to artificial atoms and molecules in the solid state. 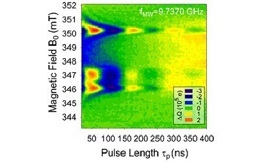 The spins of isolated charge carriers in such nanostructures are of strong fundamental interest due to the strong potential they provide for applications in the photon-based quantum information sciences.